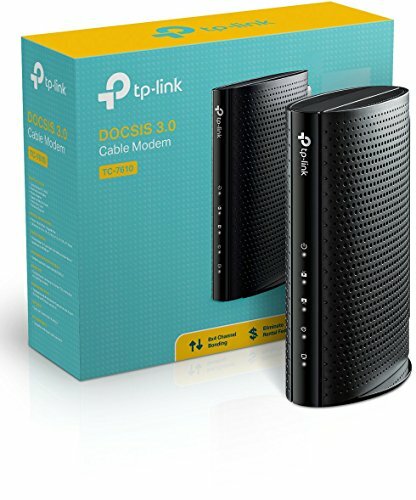 The TP-Link TC-7610 is the slower version of the Archer CR700 having 8x4 bonded channels compared to the CR700’s 16x4. This modem will get up to download speeds of 343Mbps and doesn’t have wireless Wi-Fi and only has one Gigabit Ethernet port. This is ideal if you’re looking for a simplified, less expensive version of the Archer CR700, but you’d still like the two-year warranty.